Spring is upon us and many local residents are considering coming out of hibernation, trimming up their “winter coats” and donning a pair of sandals–with socks. 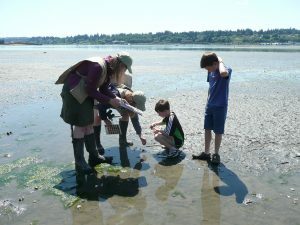 As the sun begins to shine again, or at the very least the rains begin to reward with bright and cheery flowers, the people of Thurston County are looking for things to do, out of doors! A novel idea, I know, but the vitamin D has come, and with it, so has Olympia Parks, Arts & Recreation’s Spring/Summer catalogue. You could start by taking a class at The Olympia Center. Easy Mandarin Chinese instructor Jenny Gao aims to prove that learning Chinese can be easy and fun. I, personally, am not sure about the easy part, but the fun part is obvious. For a mere $39, it’s worth taking the class just to find out. You could continue to impress your friends (or yourself), by also trying to wag your tongue in French, Italian, or Spanish. Bilingual opportunities abound, and these language studies are a wonderful opportunity for community members to get a “leg up” before doing some real travel. 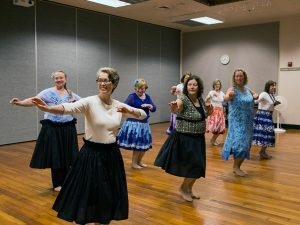 Next, get your groove on with Hawaiian Dance, where you learn the Hula, and a bit of Hawaiian language. I mean, if you can’t be in Hawai’i at this exact moment, this may be the next best thing! 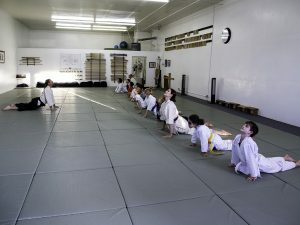 Anyone age 7-years-old and up can take Aikido, the Japanese martial art of peace. The course “emphasize[s] alternatives to physical conflict and stress through awareness of your environment, other people and ourselves.” How cool is that?! I’m considering signing up just to see if I can apply Aikido to my parenting. Most Pacific Northwesterners like to stay in our own backyard during the upcoming sunshine months. 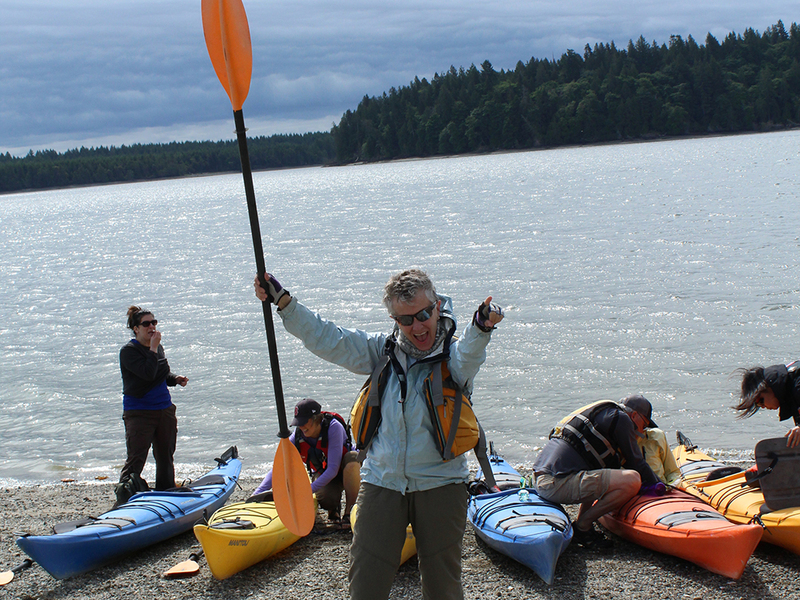 Teens and adults can maximize time outside through 6 different kayak trips. These are so popular that many already have a waiting list! There are also sailing classes for all levels and many, many opportunities to buff up your brain muscle with expert naturalist, David Kaynor. If you are looking to learn about astronomy, Lewis and Clark, geology, birds, hiking, lighthouses and more, Kaynor’s got you covered on all things PNW and beyond. If you like being outside, but you’d rather do it with all of your friends, (or potentials new ones), there are sports leagues to join. Ultimate Frisbee, anyone? And there are also nine different skill-building opportunities to chip away at your golf score. Back inside, you could learn to play the fiddle, hone your side-hustle by taking a course in voice overs (who knows, this may be your next career in the making), or you could even Build a Fuzz Face Distortion Pedal. The world of DIY Electronics goes deeper than I’d ever imagined, and even my husband, who hopes to never leave the garage in his spare time, got his interests piqued with this one! There’s truly something for everyone, and all of the classes and events offered by Olympia Parks, Arts & Recreation are of great value. Some events, like the Meet the Beach program and SKIPP & Summer Lunch program are even free. Speaking of SKIPP & Summer Lunch, take advantage of this gem of a program, where free lunch is offered each summer weekday to youth 18-years-old and under from 12:00 p.m. -12:30 p.m at both Garfield and Madison Elementary Schools. A free, supervised playtime follows for ages 6- to 12-years-old, until 3:15 p.m. I sent my daughter last year, and every time wanted to fistbump the City for this one. It’s great! Other local parents agree as well. Whitney Lawless, admitted to me that “initially, I plugged into The Olympia Center for their excellent children’s programming, but, once I delved deeper into their offerings, I was excited to learn about all of the things that were for me!” As parents or busy individuals, it’s hard to carve out time for ourselves, but, fortunately, Olympia Parks, Arts & Recreation makes it easy. What can also be hard for local parents is finding ways to keep our children occupied when school is (and is not) in session. Those small, wiggly bodies need an outlet, and through the Department, there are a plethora of options for parents and tots, from elementary age to teens. Worth a solid mention here, since a chunk of the Spring/Summer catalogue is devoted to them, are the summer camps. The camps that are put on by Olympia Parks, Arts & Recreation are the things that local legends are made of. So popular and beloved, they nearly fill to capacity the day they become available online, the first Monday in March. 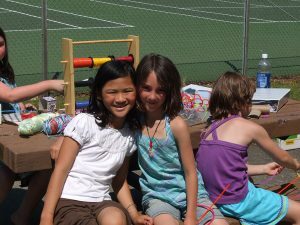 “Even though camps fill quickly, we have active waiting lists, and most often they are cycled through rapidly,” says Anna Uyeda, marketing program specialist for the Department “Many children eventually get offered spots in their preferred camp.” So, don’t lose hope Oly parents, we all know that summer plans can change as fast as a cloudy morning gives way to sun. On a final note, Thurston Countians, how many of you thought that The Olympia Center, that big blue building on the corner of State and Columbia, was just for seniors? If you nodded in agreement, I won’t tell anyone, but I would be remiss to let you think you were alone in that respect. That amazing City building, across from Percival Landing and the Harbor House, and large as a city block, does house Senior Services for South Sound, but it also houses Olympia Parks, Arts & Recreation, and that’s where the magic happens. The classes and activities on the pages of the catalogue come alive in this building, with more taking place throughout Thurston County. You can learn, connect, get fit, and more, but, as we circle back, one question still remains: what exactly is a Fuzz Face Distortion pedal, anyway? I guess you’ll just have to check out the catalogue to find out.